Submitted photo Connor Schaper, Glenn Howell and Kyle Brunner are pictured after receiving their Eagle Awards at a Boy Scout Court of Honor on May 26. 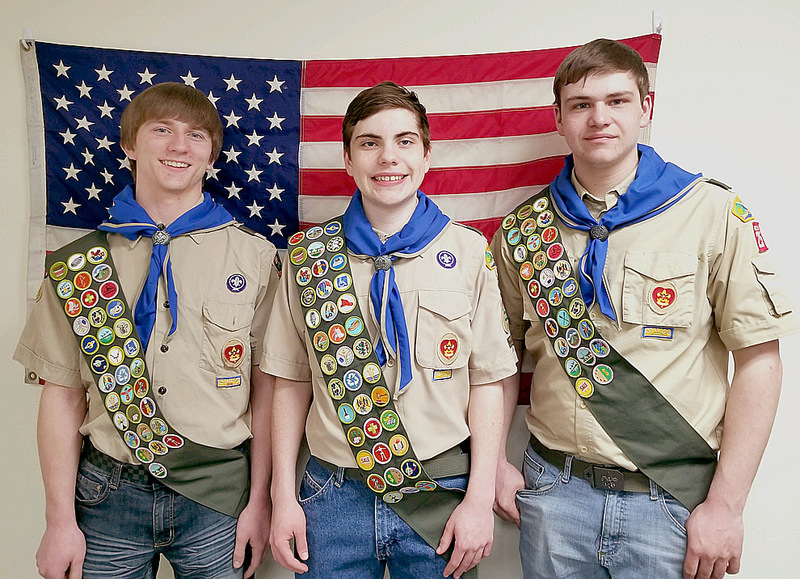 NEW ULM — Connor Schaper, Glenn Howell, and Kyle Brunner of New Ulm Boy Scout Troop 25 were awarded scouting’s highest advancement rank of Eagle Scout on Saturday, May 26. 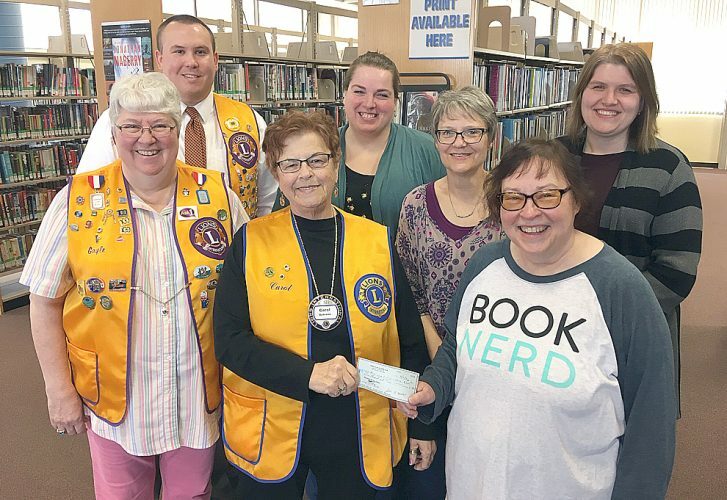 New Ulm Boy Scout Troop 25 is sponsored by the New Ulm Optimist Club. Connor Schaper is the son of Blake and Patti Schaper. Connor has been in scouting for 11 years since joining the Cub Scouts in 1st grade and crossing over to the Boy Scouts as a 5th grader in 2012. Connor’s Eagle Project was to restore and enhance the Pollinator Park on the north side of Broadway in New Ulm. 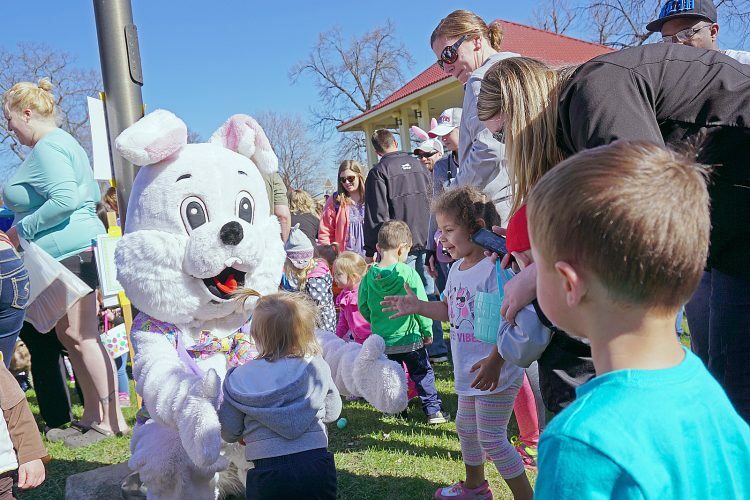 The park received a makeover in which 27 trailer loads of trees and brush that were beginning to become invasive for the pollinator garden were removed. The garden’s weeds, which were higher than most plants, were removed, and new landscaping fabric and mulch were put down. Glenn Howell is the son of Steve and Anna Howell. Glenn has been in scouting for 12 years since first grade. He crossed over to Troop 25 in 2011. For Glenn’s Eagle project, he remapped and reconstructed Adam’s Park on about a .67 mile Nature trail around the Cottonwood River, including constructing and placing two benches along the trail. Kyle Brunner is the son of Greg and Cindy Brunner. Kyle started scouting as a Tiger Cub scout in first grade and worked his way up to Troop 25 in February 2011. For his Eagle Project, Kyle built eight bat houses for Fort Ridgely State Park. The purpose for the bat houses were to help keep the mosquitos away from camping areas. The bat houses were developed with the help from Fort Ridgely State Park and the Minnesota Department of Natural Resources.